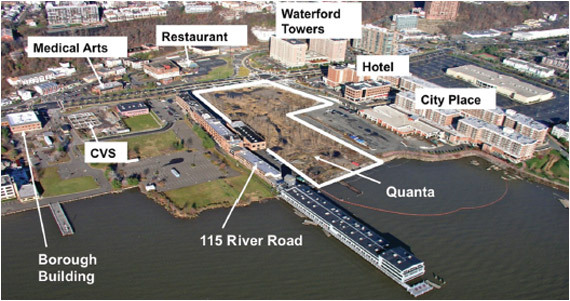 Honeywell suspended the remediation of the Quanta Superfund site while the 115 River Road building was demolished. Demolition of the building has been completed and remaining debris is being removed. Installation of the sheet pile along the shoreline near the pier building has been largely completed. One small section remains as a special piece of sheet pile is being manufactured to fit in and around a utility corridor. Honeywell has been working at the direction of the U.S. Environmental Protection Agency (EPA) and the New Jersey Department of Environmental Protection (NJDEP) to design and implement a remedy for the Quanta Resources Superfund Site on River Road in Edgewater, New Jersey. Following a successful field demonstration test of the soil cleanup, final design has been completed, and full scale work began in spring 2017. Edgewater has a rich industrial history. However, previous industrial practices from the late 1880s to the 1980s contaminated soil, river sediments, and groundwater. The cleanup is now in progress. Honeywell will clean up the Quanta site in a way that protects public health and the environment and allows for redevelopment, reclaiming one of Edgewater's last vacant sites and providing greater access to the waterfront. We are committed to doing so with the least disruption to the local community. Once remediation has been completed, the site will be poised for redevelopment, bringing jobs and economic benefits to the community.